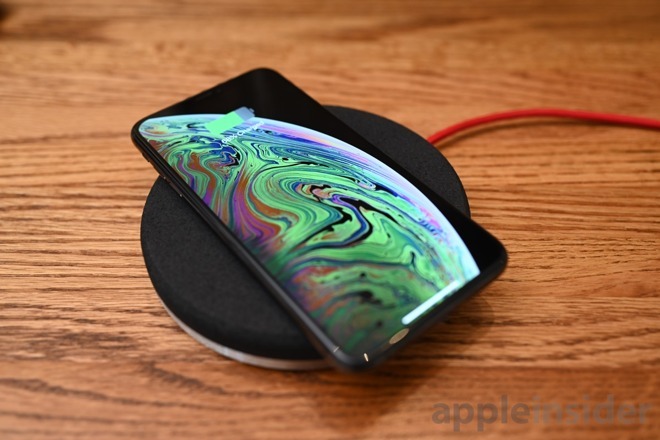 Grovemade has cut no corners when designing their new wireless charging pad for the iPhone, giving those yearning for a premium experience a great option with few rivals. Grovemade prefers to emphasize the quality and materials used in their wireless charger rather than focusing solely on charging speeds. 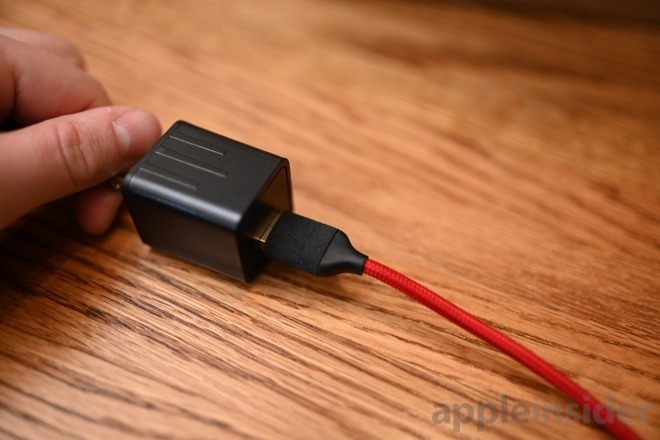 It is still fast and will suit any iPhone owner with 7.5W of output, but the real story is the cork, metal and other high-end materials that the company uses in construction. Available in both black and tan, the top of this oversized charger is made of cork. This offers a solid but slightly soft material on which to rest your iPhone. Between the tan and black version, the tan is slightly softer to the touch. We believe the black version is dyed or painted to achieve the look, making it slightly harder in the process. The downside is it doesn't offer quite as much grip as traditional chargers that use silicone on the top. It is on the large side which does prevent the phone from sliding off, but the lack of grip is still something we noticed. When you flip the charger over, you see the detail that has gone into it. The body is made of machined steel which gives it quite a bit of heft. Cork lines the bottom to keep the dock from sliding around on your desk, which works just as it should. 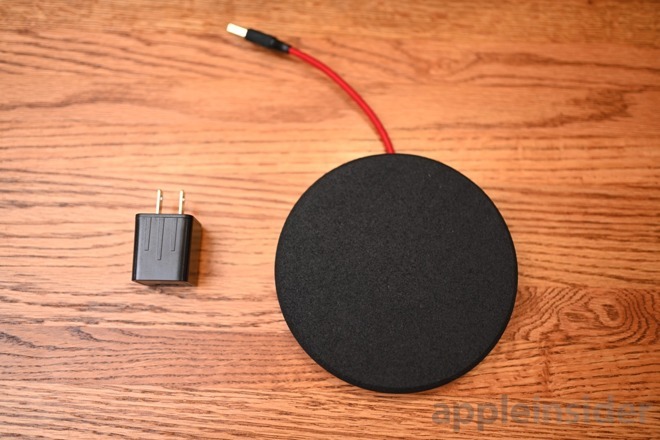 We used the wireless charger on both our nightstand and our desk where it looked at home in both. A cable wrap is integrated into the bottom, with a simple arrow to designate the direction it should be coiled. This helps because the included cable is quite long and this keeps things a bit tidier. Even though the cable can be hidden, especially if you have the black one, we don't recommend traveling with it. It is a bit large for that use case and the black finish may come off if tossed in a bag. Speaking of the cable, Grovemade included a premium cable to go with. It is wrapped in red nylon with leather or felt around the over mold. A removable USB-C cable would be preferred, but this is one of the nicest cables we've seen so that makes up for it. Like most of Grovemade's products, there is a target audience here that will love this charger. It is amazingly well made "the hard way" as they put it. For most though, it is hard to compete with the small, cheaper alternatives. You can pick up this luxury wireless charger directly from Grovemade starting at $79.99 for the light model and going up to $139 for the dark and brass model. 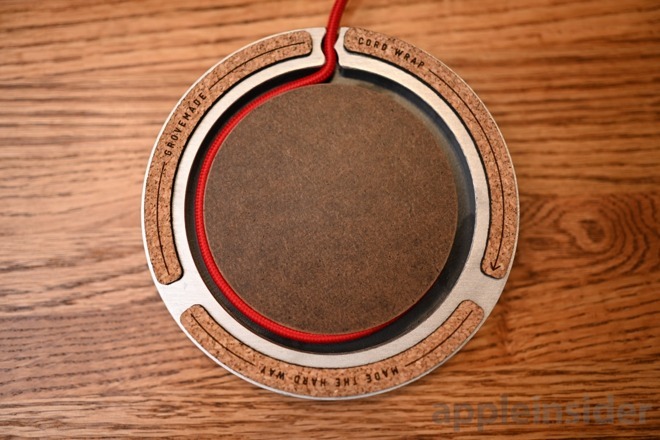 If you love the Grovemade wireless charger, you may also like their Apple Watch dock which has a similar aesthetic.